First off I'd like to mention that I was truly happy to attend this gig by the Japanese noise-space rockers. Although they've toured the states several times before, I never thought I'd get to see them. I heard that Boston's own Architectural Metaphor wanted to be the support act for this tour. Let me say that if that were so I may have not gotten any sleep for several nights before the show took place. I would've been so pumped, those who know me well may have tried to have me committed. The opener was New York band, The Occasion. I didn't get their setlist but I can tell you they are a good progressive five piece that featured guitar, bass, sound effects, electric piano, percussion and a gal who ran tape loops through her audio generator or whatever that piece of equipment was. Finally, Acid Mothers Temple took the stage to perform a memorable eighty-minute set that included three songs. Actually, it was five but two of the evening's numbers ran into another song. Loved their soundcheck. Tunes they did were "Anthem Of The Space", which ran into "Trigger In Trigger Out" (sort of reminds me of vintage Hawkwind). Their most recognizable "Pink Lady Lemonade" took me until after the show was over to figure out which song this was. Then there was Gong's "OM Riff" which had developed into "Speed Guru". The band line-up was Kawabata Makoto-guitar, Tabata Mitsuru-bass & vocals, Higashi Hiroshi-electronics and Shimura Koji-drums. This has been sort of a dry year for concerts but this show was a 'must-see' for me. About 110 patrons attended. The Jackpot Saloon is a small club that holds maybe 150 at most. 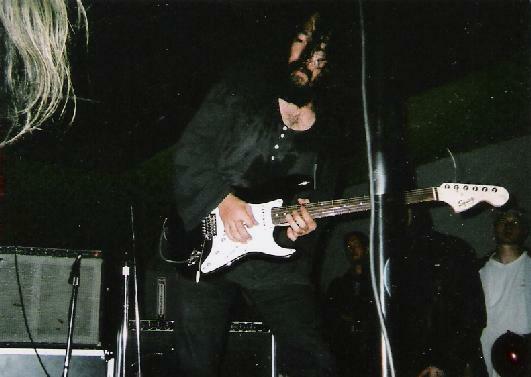 Past artists that have played there include Kinski, Orange Goblin, Zeke and Jumbo's Killcrane. 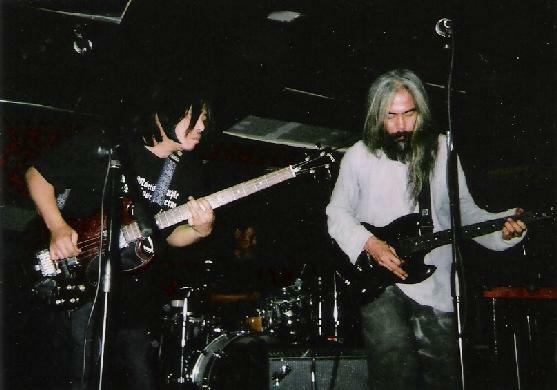 Acid Mothers Temple had done a 38-city tour of the US of A which included cities like Detroit, Denver, Seattle, San Diego, Portland, Atlanta and so on. I heard one fan mention they were like a blend of Hendrix, Stooges, Blue Cheer and early Floyd. Needless to say a great time was had by all. I'd more than love to see these guys again sometime.